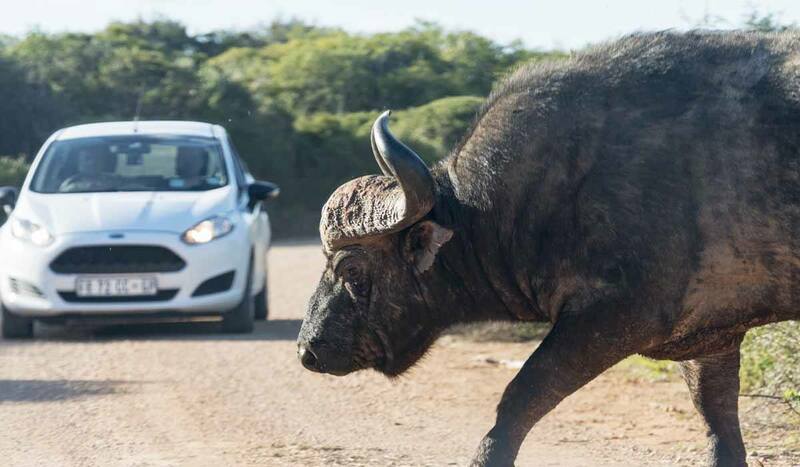 If you’re planning to road trip South Africa or visit well-trodden African locations like Victoria Falls, you’ll probably be wondering what to do with all the ‘animal encounters’ on offer – here is what we think! Travelling around South Africa, you’ll be surrounded by ‘once in a lifetime’ animal experiences – walking with lions, swimming with great whites, petting baby cheetahs… and unsurprisingly, these activities find themselves on the bucket list of many visitors. Sadly, most people are unaware that many of these animal activities are unethical, and they do animals a lot more harm than good. Marketing ploys such as calling for-profit places ‘sanctuaries’, saying that captive-bred animals are ‘orphans’ and all tour profits are going to be invested into ‘rehabilitation’ might trick travellers into thinking that yes, they are indeed contributing into conserving endangered species. What’s the best way to interact responsibly with animals in South Africa? However, more often than not this is not the case. A lot has been written about the dangers of riding elephants in Thailand, or why dolphin shows should be avoided, to the extent that people feigning ignorance about the ethical implications of these activities are usually just making excuses. Responsible Animal Activities in South Africa? In contrast, there’s a lot less information online about how to choose ethical animal experiences in Africa. 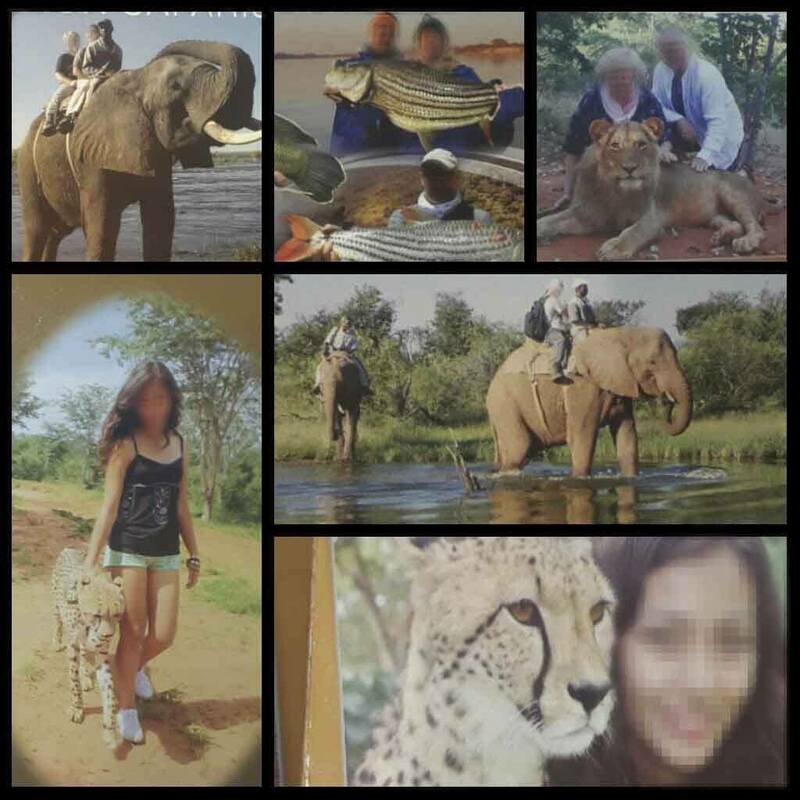 We met people who walked with lions, rode elephants and visited ‘sanctuaries’, honestly believing they were contributing to a cause. 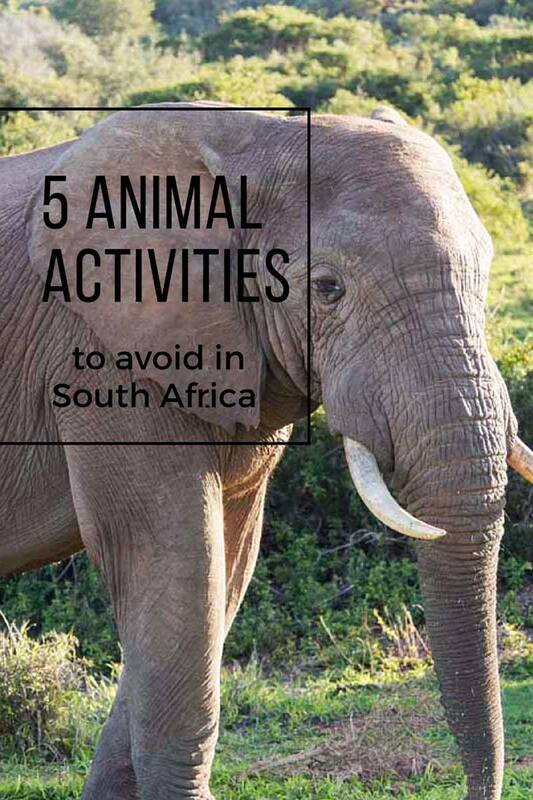 For this reason, after having spent three months in Southern Africa, we’ve decided to put together this article with 5 unethical animal experiences to avoid in South Africa, and 5 responsible alternatives, with the aim of helping you choose responsible operators and activities involving animals. A safari in a national park or private nature reserve is the best responsible animal activity you can join while in South Africa – you’ll be able to witness animals interacting naturally in their own home, being a silent observer to the wonders of nature. ‘Encounters’ occur when interacting with the animal, and nor simply viewing it, becomes the core of the experience. 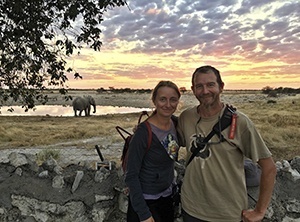 Now, this is not a blanket statement that all animal encounters in Africa are unethical – there are many bona-fide sanctuaries that allow guests and volunteers to get close to animals. Here is what to look for, when assessing whether or not an animal encounter establishment is ethical. Images taken from tourist brochures around South Africa, Botswana and Vic Falls – thanks Giulia for the collage! Where are the animals from? How did they reach the facility? If the animals are orphaned or were rescued from a cull or an accident, that’s a good start. If they come from captive breeding or were snatched from the wild, stay well clear of the place. Where are the animals being kept? Is their habitat similar to their natural one? If the animals are kept in cages or enclosures – as it might be the case with places that house carnivores – do they have enough space? 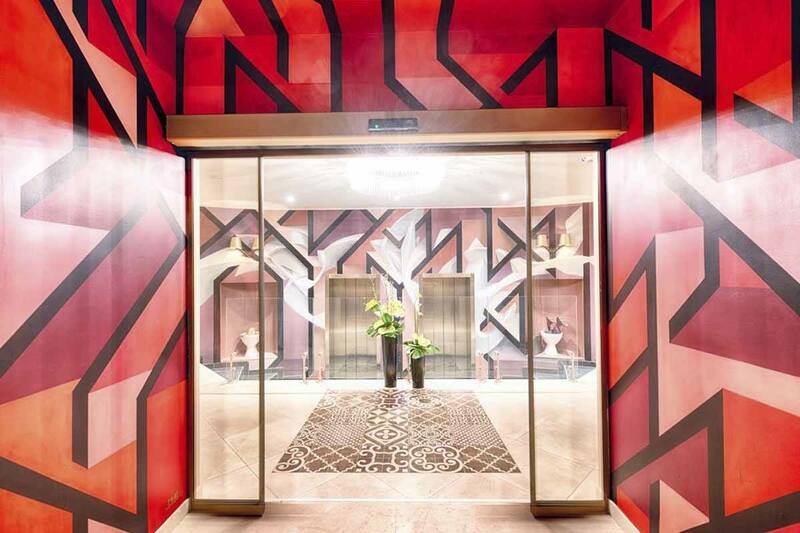 Does the experience involve behaviour modification of any kind? An example of this is elephant riding, or close encounters with large carnivores that appear to be ‘sleeping’ – when in fact they are being drugged. Generally speaking, avoid anything that involves touching wild animals, especially baby carnivores, as that pretty much guarantees they’ll never be released back into the wild. Do you notice signs of violence on the animals that might be caused by a human, or signs of restrain like chains or ropes? If so, that’s a red flag. This is a big one. The owners of many ‘sanctuaries’ claim to be conservationists, when in fact profit is their only aim. Remember that the aims of a true sanctuary are RESCUE, REHABILITATION and RELEASE whenever possible – or lifelong care in humane conditions. 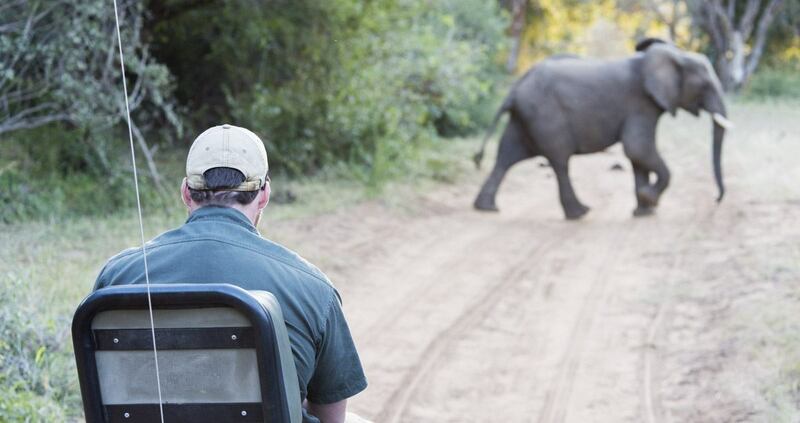 Releasing animals into the wild should always be top priority – sadly, as tourists pay big bucks for up close animal encounters, unethical operators will be planning to keep animals as long as possible. Conservationists working in true sanctuaries and operators collaborating with ethical establishments are usually 100% transparent about all the above, and will have no issue answering questions and showing proof to back up what they say. There are many legit sanctuaries working with orphaned and rescued animals, and they all rely heavily on tourist visits and volunteer experiences to make ends meet. The points highlighted above are just a guide to help you choose for yourself. During our time in the Kruger region we had the chance to visit some great organisations that we recommend wholeheartedly – C.A.R.E., rehabilitating entire troops of baboons, Moholoholo, a rescue center operating in Kruger for over 20 years, and Care for Wild Africa, running the largest rhino sanctuary in South Africa. I just couldn’t get the logic behind why some of the people we met in South Africa claimed that riding elephants in India is totally wrong, but riding them in Africa is ok. Maybe because African elephants are larger than Asian elephants? I honestly have no idea. Elephant riding is wrong on so many levels – first and foremost, because elephants are not domestic animals, and they have to be literally beaten into submission. This practice is known in Asia as phajaan – elephants are kept in chains and beaten with bull hooks from a very young age, until their spirit is crushed and their keeper is recognised as a dominant figure. Romantic tales of the ‘father and son’ relationship between elephant and mahout (keeper) are nothing but LIES fabricated since time immemorial into making people believe that this cruel and inhuman practice is acceptable (and make people feel better about paying for it). 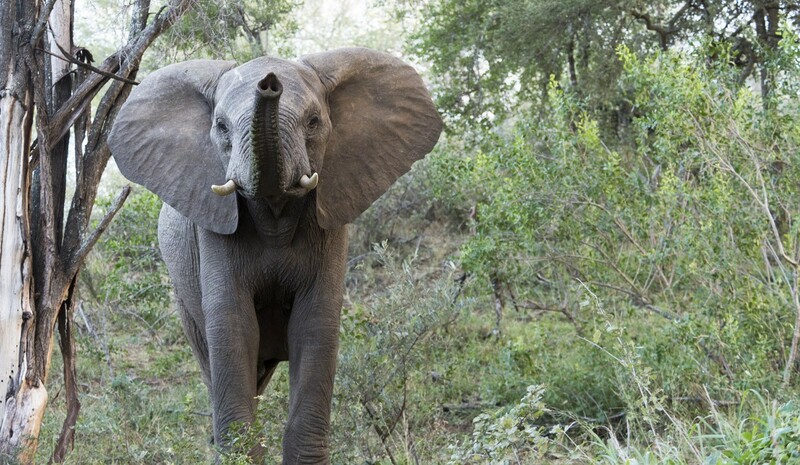 Even though these facts are often heard in connection with elephants in Asia, they are also applicable to African elephants. So, please, don’t ride elephants. Don’t ride them in India, and don’t ride them in South Africa. Just don’t ride them at all. 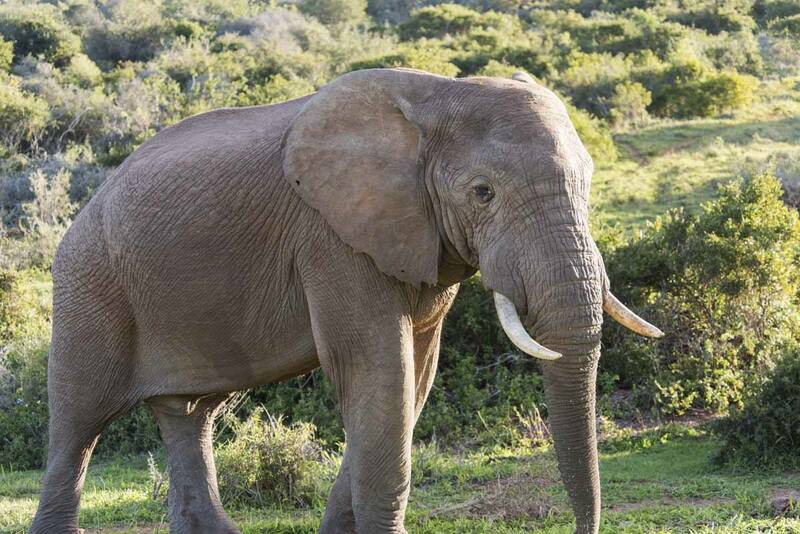 Head to Addo National Park to see elephants in their natural environment! Elephants are highly sociable and intelligent animals, living in herds that can measure up to 40 or more individuals. Watching them interact with one another is fascinating – we saw little babies nursing from their mothers and learning to use their trunk, teenage elephants mock-fighting, and entire herds surrounding vulnerable members in protection. Elephants are easy to spot in national parks, due to their size and the fact that they’re fairly common. 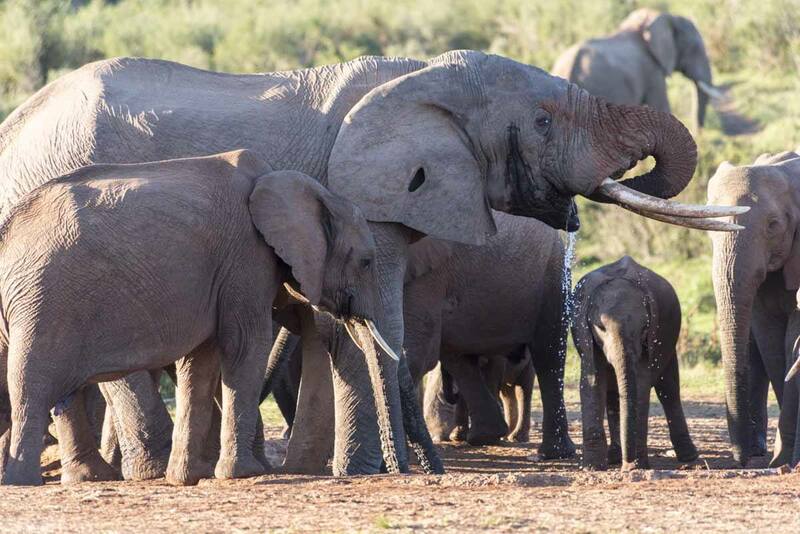 Addo Elephant Park, a National Park close to Port Elizabeth, offers excellent chances of elephant spotting, due to the fact that it is fairly small and houses a healthy elephant population. 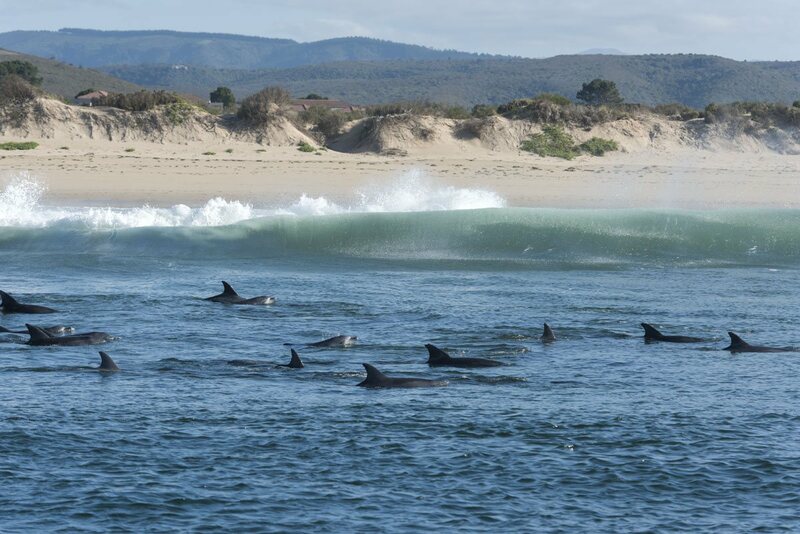 I don’t have shark pictures… so here are dolphins instead! This is a quintessential South Africa experience – I mean, what’s more #YOLO than a selfie with a great white with mouth agape and bloody fangs? After all, sharks are wild and the encounter occurs in their natural habitat, with no behaviour modification required, so it must be fine? Well, it’s not that simple. Sharks are baited to the dive boat with chum, buckets of fish heads and entrails mixed with blood, foul-smelling but very effective at attracting sharks and creating those graphic ‘bloody fangs’ effects. Chumming has been related to a disruption of sharks feeding patterns and increased attacks on humans, even though evidence is not conclusive. However, there is an ethical alternative to chumming – using music to attract sharks, something that I was able to experience myself in South Australia. I tried researching ethical shark diving in South Africa, but as far as I could see all operators used chum to attract sharks. So, for now, I’ll personally be giving cage diving a miss. If you’re visiting South Africa in Winter (June-Sept) you’re in for a treat – whale watching is absolutely phenomenal, with humpback, Southern right, Bride’s whales and many more travelling to the waters off the Southern coast of South Africa to breed. Spotting cetaceans in season is pretty much guaranteed – but what if (like me) you get seasick? 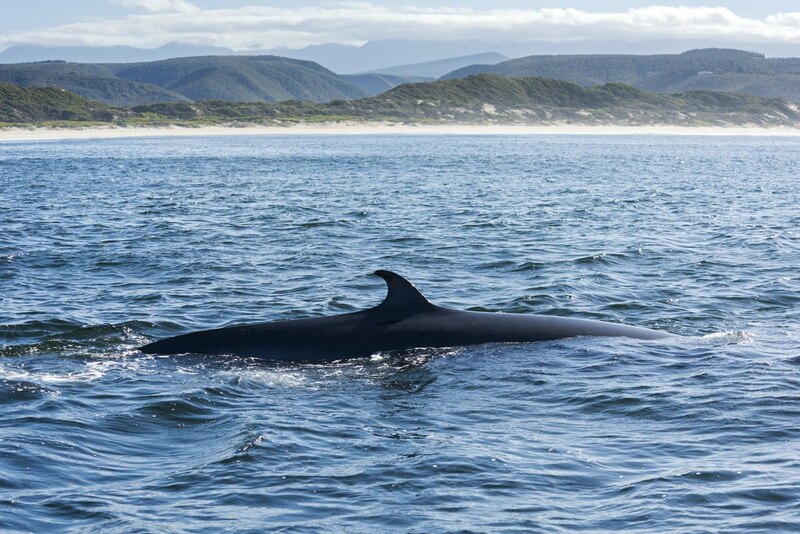 Whale watching in places like Hermanus is SO GOOD that you can even watch whales from the land. And it will cost you nothing. The village of Oudtshoorn along the Route 62 is South Africa’s unofficial ‘ostrich capital’, having been the center of the once-booming ostrich farming industry. Up until the mid-Twentieth century ostrich were farmed mainly for their feathers, used to decorate hats and fans. Nowadays, ostrich are still farmed for meat, but there’s another reason why many people visit Ouidsthoorn – ostrich riding. To be honest, I wonder why people would even consider riding ostrich – they may be the largest bird in the world, but they’re still birds. They don’t have the bone and muscle structure of horses. 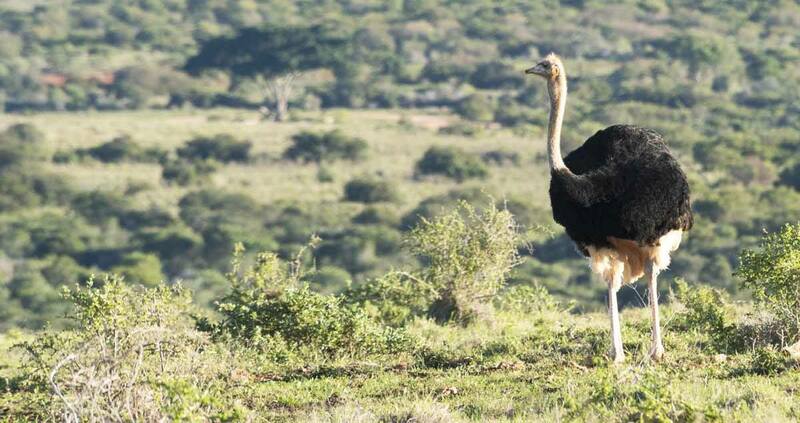 In fact, riding ostriches is only allowed for people weighing less than 60 kilos, and the experience is not reported to be comfortable, neither for the bird nor for the rider. Luckily, many farms are deciding to stop offering ostrich rides – but when we visited (May 2017) the experience was still available. Don’t do it, please. Well, horses do have the body structure that allows them to be ridden, are able to carry up to 25% of their body weight, and don’t need to be beaten with bull hooks to be trained – this, in my mind, is a key difference. Even PeTA is not opposed to horse riding. My personal opinion is that riding horses is ethically acceptable, provided they are treated with respect, housed in comfortable conditions and not overworked. Horse-riding culture is prevalent throughout South Africa, and there are many horse-owners offering tours that love their horses as if they were their own children, and treat them with love and respect. An example is Stephanie Coetzee from Two Feathers Horse Trails in Swellendam. 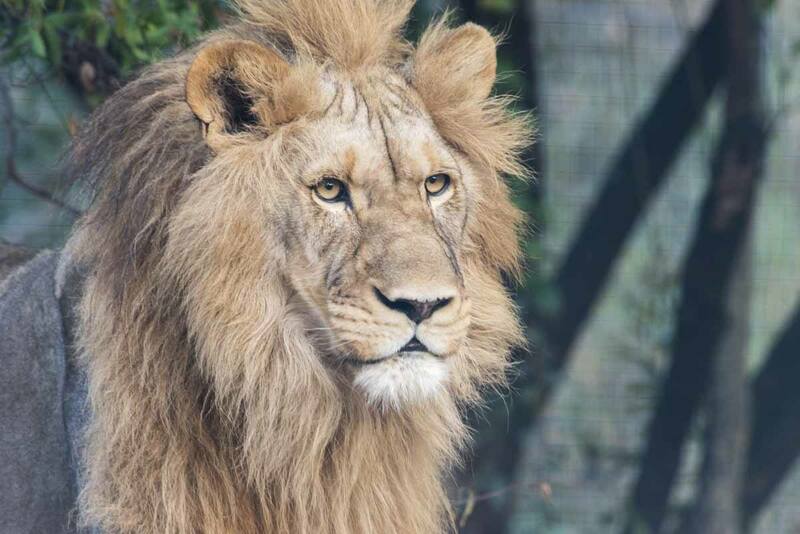 A majestic lion in a South African rescue centre – PLEASE boycott activities that may have links to canned hunting! Lion walks and encounters should be avoided at all costs. Now, don’t get me wrong – the idea of petting baby lions and playing with them, or taking teenage lions on a walk sounds incredible, but have you ever wondered what happens afterwards? Many irresponsible operators will spin tales about how these lions were orphans and will then be reintroduced into the wild – and naturally, the money charged for the experience will assist in this endeavour. Well, the truth is that many of these lions were not rescued – they’re captive bred. 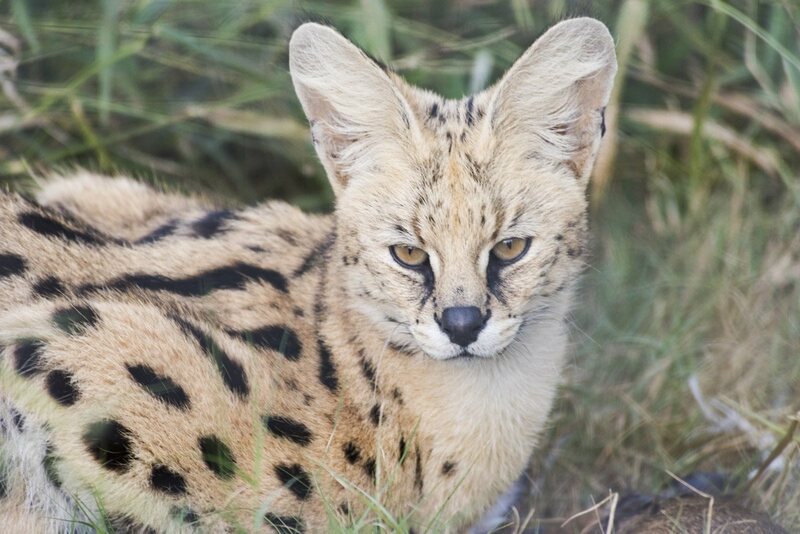 Orphaned carnivores are very hard to reintroduce into the wild, as they learn most of their survival skills from their mother. On top of that, like all babies, they need naps and playtime – something that they simply cannot get if they’re continuously exposed to humans. So, do you know what’s behind all that? Canned lion hunting. Captive-bred lion cubs are taken away from their mothers shortly after birth, and used for ‘pet the lion cub’ experiences. Naturally, you’ll be told that they were orphaned, abandoned or that they ‘would have starved to death because their mother had no milk’ or something similar. You don’t want to mess with her! When cubs get they’re too big for cuddles, then they are used for ‘lion walks’ – by this stage, they’ve become habituated to humans. After a while, they are taken to an enclosed area, where they are left to wander aimlessly for some time (remember we are talking about an animal that has never lived in the wild before), until they’re shot by hunters standing safely on the back of a truck. So, next time you think about walking with lions or petting lion cubs, remember – this is the industry you might be supporting with your money. 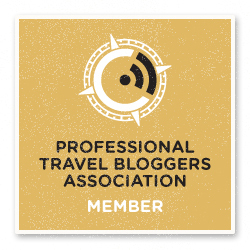 A self-drive safari – one of the BEST experiences ever! I know, I know, everyone wants to see lions in South Africa. There are countless national parks and nature reserves where, with a good guide, you are likely to see lions in their natural environment. However, please remember that when seeing animals in the wild, you have no guarantees. In fact, we didn’t see a single lion in South Africa, despite having gone on at least 10 game drives. We did eventually see them in Namibia, at Etosha National Park, and in Botswana, but this is a different story. If, like us, you’re unlucky at seeing lions, don’t give in to walking with lions experiences just to tick off ‘seeing a lion’ from your bucket list – go back to point 1 of this article and visit a bona-fide sanctuary. 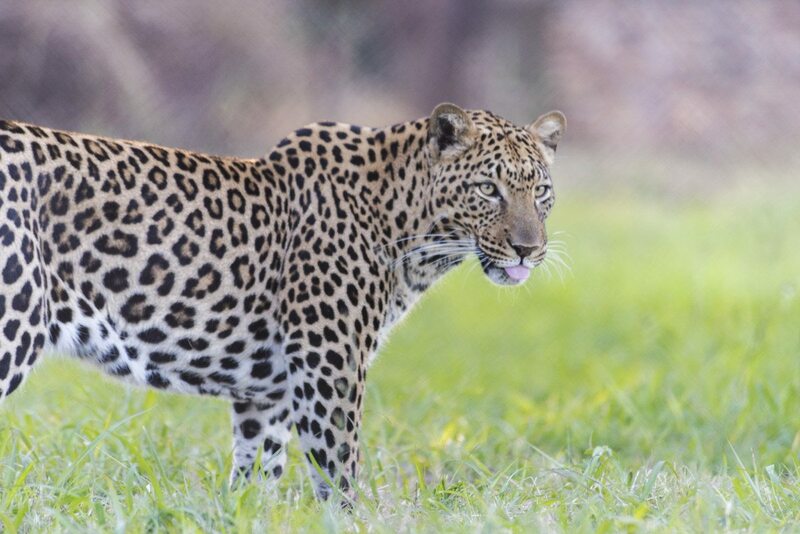 We can recommend Jukani, a sanctuary dedicated to carnivores located close to Plettenberg Bay along the Garden Route. 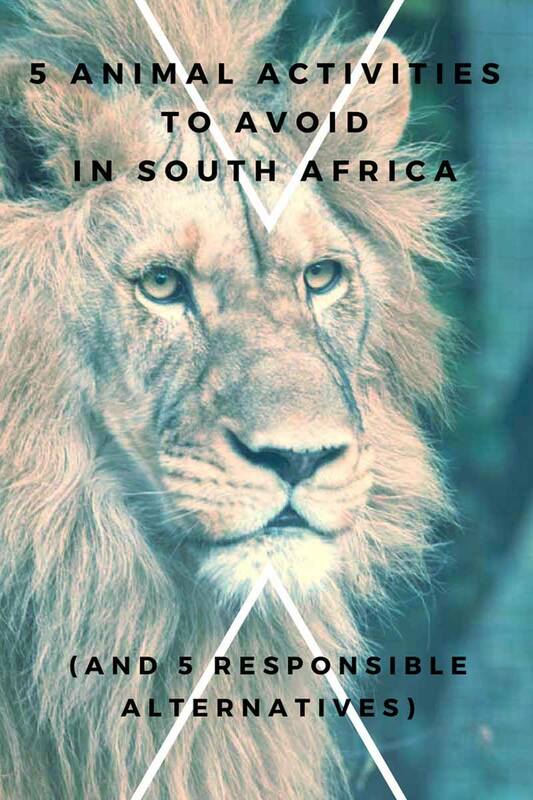 Do you have anything else to add about responsible interactions with animals in South Africa? Please let us know in the comments! Thanks Katie! This is exactly what I thought. People love animals and will always look for a way to get up close to them, that’s why I tried looking for responsible suggestions!